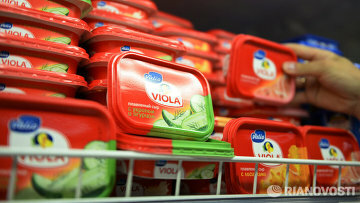 Owner of Corte Viola trademark asks court to cancel protection of two Valio brands | Russian Legal Information Agency (RAPSI). MOSCOW, April 13 (RAPSI) – Italian wine-producing company Contri Spumanti S.P.A. which owns Corte Viola and other brands has asked Russia’s Intellectual Property Court (IP Court) to preliminary and partially cancel legal protection of Viola and Valio trademarks, the court’s statement reads. The plaintiff asked the court to cancel protection of Viola trademark due to its non-use for certain class of products including beer and non-alcoholic beverages. At the same time the motion related to Valio trademark concerns alcoholic ones. The court did not proceed with the lawsuit because of procedural violations. 13:33 13/04/2018 Italian wine-producing company Contri Spumanti S.P.A. which owns Corte Viola and other brands has asked Russia’s Intellectual Property Court (IP Court) to preliminary and partially cancel legal protection of Viola and Valio trademarks.